Transform your videos with real 35mm Film Grain. Get this 35mm film grain scan with dust and scratches for free and give your videos a cinematic or vintage film look. Compatible with Premiere Pro, After Effects, FCPX, DaVinci Resolve and other NLEs. Explore the secret behind stunning digital cinematography. 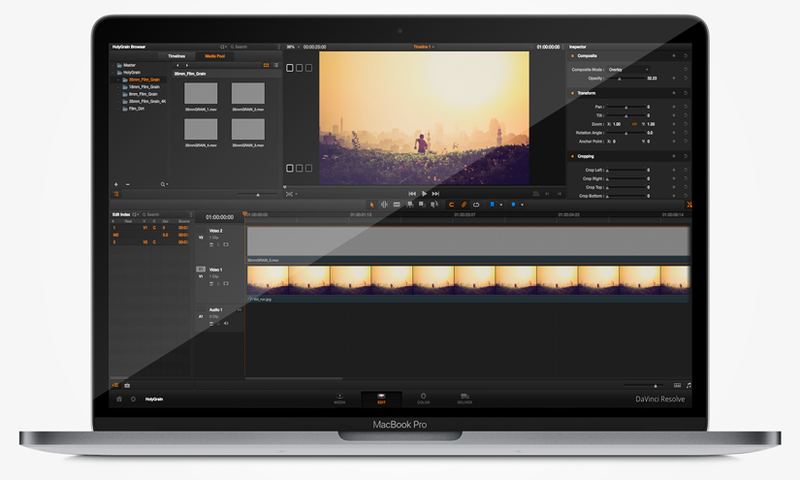 Crafted for professional filmmakers and video editors. See how easy it is to use holygrain.